Save money and increase your garden plants through simple propagation techniques using seeds and cuttings. 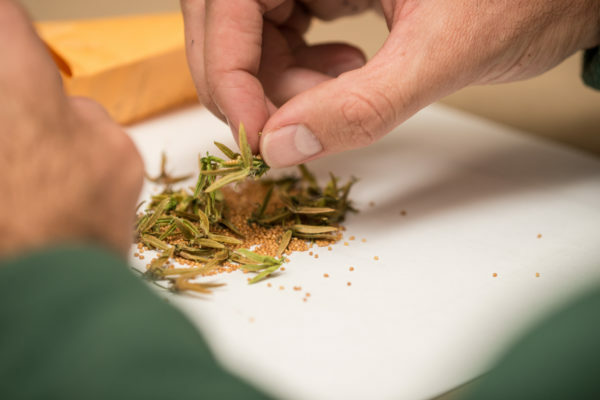 Review the ethics of wild collected seed and learn the basics of seed biology, germination, and storage. Study the principles of asexual plant reproduction, learn when and how to take cuttings, and practice proper techniques for preparing and rooting them. Dress for this hands-on workshop, wear closed-toe shoes, and take samples home. Bring your lunch and hand pruners or scissors. All materials are included in the registration fee. It is recommended that students complete Botany for Gardeners before enrolling in this course. This class qualifies for the following professional credits: 8 APLD, 2 CNP credits with DNLA, ISA, 4 NOFA AOLCP, and PLNA. Eight professional development hours (PDH) have been approved for this class through LA CES. This class meets LA CES standards for HSW subject matter.